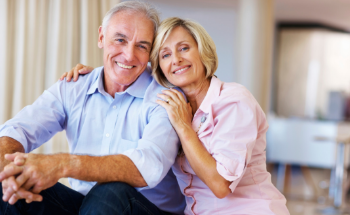 How do dental implants affect your dental health? Missing teeth actually affect far more than just your cosmetic smile. While you can feel a little self-conscious about the gap in your teeth, there are actually some domino effect health implications to losing and not replacing a missing tooth. Having dental implants to fill these gaps, however, could greatly benefit your dental health! How is this so? Well, let’s dive into the diverse world of health benefits associated with dental implants! When you lose a tooth, or multiple teeth, areas of your gums that were previously hidden or occupied are now left vulnerable. They’re exposed to the elements, the elements being bacteria, food debris, and sugary salvia. Bacteria and food debris can nestle in the newly opened gaps, primarily at the bottom of your teeth that connect with the gums and can be hard to reach when brushing. These bacteria can cause the onset of gum disease, which sees the gums becoming swollen, red, puffy, sensitive, and even bloodied at times. You could even risk losing another tooth if gum disease is left untreated and spreads to the neighbouring teeth! Replacing a missing tooth with a dental implant, or multiple gaps with dental implants, helps to keep these otherwise exposed areas covered, protecting your soft tissue. Missing teeth don’t just leave your gums exposed, however, but they also expose the sides of your neighbouring teeth that would previously be covered by the missing tooth. Food debris, bacteria, and plaque can build-up around the walls of your neighbouring in unforeseen areas that are difficult to clean. When left to fester, the bacteria eat away at your protective enamel and creates decay and cavities. This may lead to the need for further dental treatments, such as a root canal, or even threaten the integrity of the tooth. Replacing missing teeth with dental implants therefore seals off the neighbouring teeth’s wall from as much bacteria exposure, helping to keep them free of cavities. When a new gap opens, your teeth don’t always play by the rules. Your teeth apply constant pressure to each other, letting one and other know where they sit in the jaw. Losing a tooth means that your teeth neighbouring the gap could drift out of alignment because they are no longer being kept in check. The new irregularity in your teeth has the potential to cause bite issues, difficulty eating, and even jaw pain should it really sway your jaw’s alignment. Replacing a missing tooth with a dental implant stops this kind of wayward movement, maintaining comfortable mouth functions and keeping your teeth exactly where they should be. Your teeth and your jawbone enjoy a mutually beneficial relationship. Each tooth has a root that feeds into the jawbone that lets the bone know that the tooth is still very much alive and in place. Your jawbone then remains strong and functional in order to support this tooth, and vice versa. However, losing a tooth cause the root to die and the jawbone to stop receiving these ‘signals’ from that particular area. This leads to the jawbone weakening because it is not strictly ‘needed’ underneath that tooth anymore, threatening the integrity of the surrounding bone and risking further disruption to otherwise healthy teeth. A dental implant uses a titanium root that is placed in your jawbone, and the metal invites your bone to heal around it and fuse with it. This not only creates a sturdy foundation for your tooth replacement, but it also gives that area of jawbone its purpose back, so it remains healthy. Dental implants therefore help to keep your jawbone strong! Dental implants in Nottingham don’t just save your smile, but they can do a world of good for your continued dental health too. Discover dental implants right here with Beeston Dental Practice today, enquire online or speak to a member of the team on 0115 9254169 to book your initial consultation!